President Donald Trump is the “gift that keeps giving” to Russian President Vladimir Putin, former Secretary of State Madeleine Albright said Tuesday during an appearance on MSNBC’s Morning Joe. “[I was] stunned, in disbelief at the behavior of the president of the United States in terms of not defending our country, and really bending to the kinds of things that Putin really wanted,” Albright said. “We cannot normalize the behavior of President Trump,” she said. 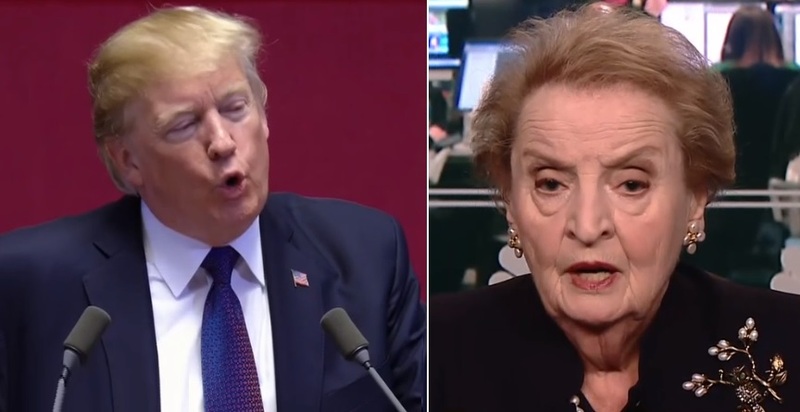 “Putin has a plan: he wants to undermine democracy, he wants to separate us from our allies in Europe, he wants to reassert influence in the Middle East, and our president is a help in all of this,” Albright said.